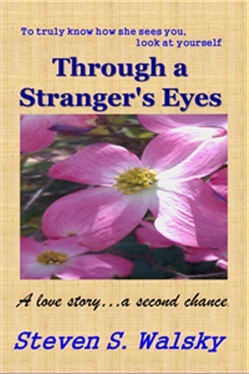 When love returns to Dave's life, he asks himself has he changed; has she changed. Is he the man she deserves, desires. To really see yourself, looking in the mirror is not the answer; you have to see yourself through a stranger's eyes. Just as important, Dave and Breen need to decide if this is real, everlasting love; is it 'need', or true 'want'? “Need is when you reach out in the middle of the night to touch the woman laying next to you; the need to reassure yourself she is still there. Want…want is desperately wanting to be there next to her, to be the only man she reaches out for.” And, as Dave has learned, romanticism may be glorious to the woman who receives the benefits – the flowers, the love letters, the small gifts of the heart – but to the romantic it has moments that overwhelm logic; overwhelm common sense. Acquista Through a Stranger's Eyes in Epub: dopo aver letto l’ebook Through a Stranger's Eyes di Steven S Walsky ti invitiamo a lasciarci una Recensione qui sotto: sarà utile agli utenti che non abbiano ancora letto questo libro e che vogliano avere delle opinioni altrui. L’opinione su di un libro è molto soggettiva e per questo leggere eventuali recensioni negative non ci dovrà frenare dall’acquisto, anzi dovrà spingerci ad acquistare il libro in fretta per poter dire la nostra ed eventualmente smentire quanto commentato da altri, contribuendo ad arricchire più possibile i commenti e dare sempre più spunti di confronto al pubblico online.